Historians have recently turned to empire as a compelling category of analysis to aid in their understanding of the global patterns that dominate modern world history. Women and Social Movements in Modern Empires seeks to enlarge the scope and enhance the significance of the study of empire by creating a 75,000-page database and archive of documents that views the history of modern empires through women’s eyes. Drawn from libraries, archives, and personal collections around the world, many of these documents are available for the first time. We hope they will provide scholars and students with new perspectives on imperial history as a process of political, social, economic and cultural interactions involving indigenous and imperial people, family life, social networks and civil society as well as governments and armies. The project is a collaborative effort by 55 scholars, distinguished and emerging, who have gathered 45 clusters of documents in their fields of expertise. The clusters range from a few hundred to a several thousand pages. Each cluster also includes a scholarly essay that explores the assembled documents and places them in historical context. These sources were generated in a wide range of languages. Each document not in English (and each image and each handwritten document) is accompanied by an abstract that summarizes its significance and makes it accessible for online searches. The collection includes audio and video material as well as texts drawn from letters, diaries, newspaper articles and a wide range of publications. Editors have gathered documents that represent specific times and places in depth. Ranging from a particular social movement to an entire historical epoch, each set of sources allows scholars and students to explore the complexities and rich historical content of modern world history and trace micro and macro changes over time. The collection as a whole offers scholars and students an unprecedented opportunity to study and compare the global processes of empire world-wide from the perspective of people who were not soldiers or diplomats but were nevertheless deeply engaged in the rise and fall of modern empires. Women’s voices can be found at all levels of imperial history. As agents of empire, women were active as missionaries, educators, health-care professionals and women’s rights advocates. As opponents of empire, women were active in nationalist and social reform movements and as conservers of culture. As people in the vanguard of cultural interaction, women often forged a middle path of innovation in education, health and family life that drew on both imperial and host cultures. We do not yet know what our exploration of women’s perspectives will find. But we do know that this project provides students and scholars with a new, systematic approach to one of the strongest currents in modern history, shedding new light on forces that were global in extent and profoundly local in impact. Women and Social Movements in Modern Empires is a peer-reviewed project that is supported by a large advisory board of scholars who are actively involved in its progress. (See below). This online archive and database is co-published by the Center for the Historical Study of Women and Gender at the State University of New York, Binghamton, and Alexander Street of Alexandria, Virginia. Women and Social Movements in Modern Empires is a companion to the 150,000-page online archive, Women and Social Movements, International, completed in 2013, which is now available at over one hundred academic libraries, one third of which are outside the United States. The empires project complements but does not duplicate material in Women and Social Movements International. 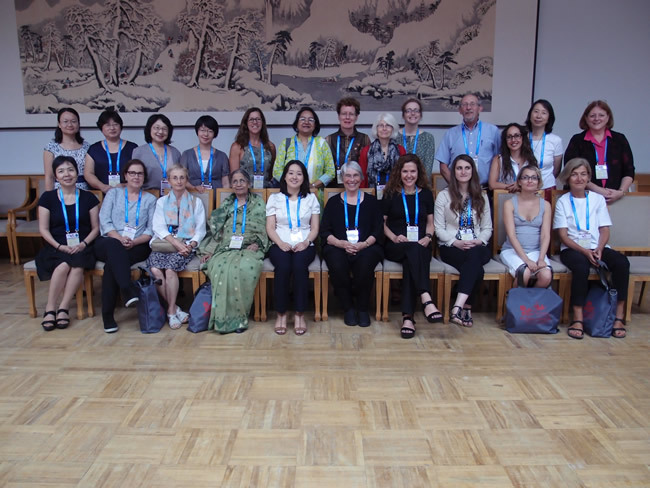 Whereas the empires database focuses on women’s voices in local, national and imperial society and culture, WASM International consists primarily of documents by and about women’s international organizations, especially the proceedings of 400 international women’s conferences. The combined size of Women and Social Movements International and Women and Social Movements in Modern Empires is 225,000 pages. These two archives and databases are the daughters of Women and Social Movements in the United States, an online journal as well as an archive and database. All three databases in the Women and Social Movements series combine the spaciousness of the Internet with the historian’s craft of preserving and interpreting documents.